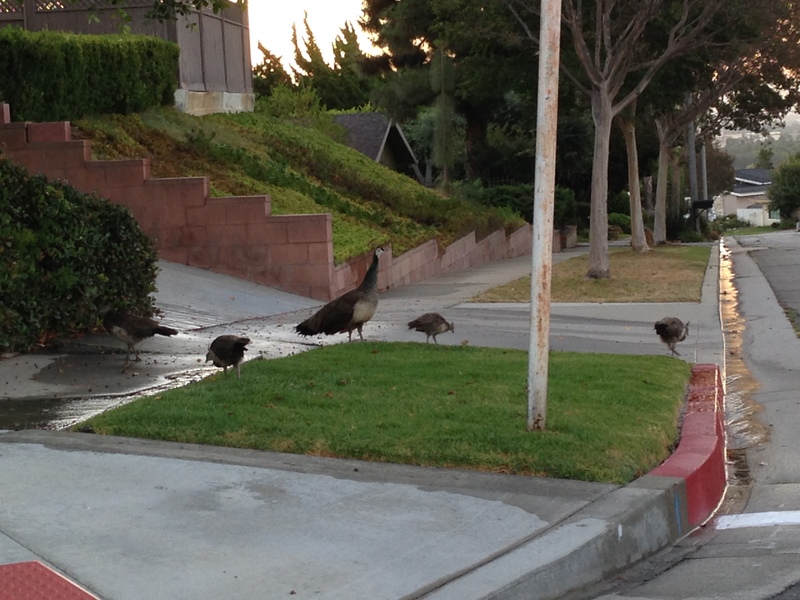 I saw a family of Peacocks. Mommy and 5 pea babies. They’re growing fast. One kid scooted out of view to the left.